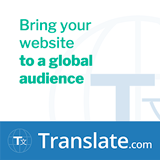 Translate.com’s Website Localizer is the simplest solution available for a localized website. With Website Localizer, users can effortlessly manage the translation of all critical components of their WordPress website. 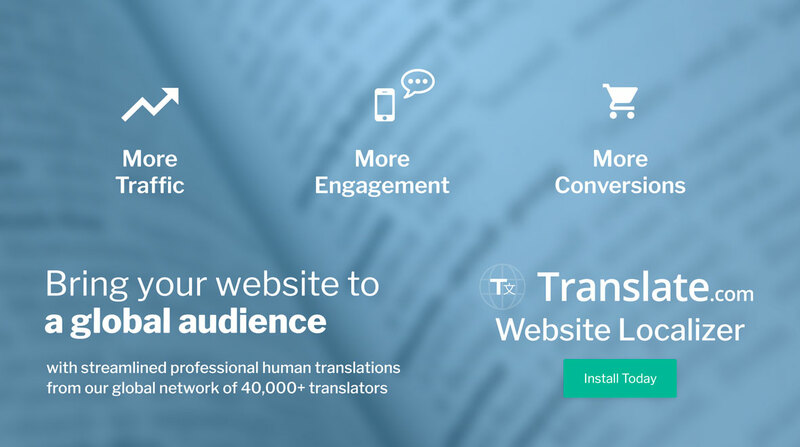 Integrating Translate.com’s Website Localizer into your website takes just minutes. Simply copy and paste a 1-line snippet of code into your HTML. Once installation is complete, users are able to localize their website’s text, photos, videos, meta tags and more. Website Localizer’s admin portal allows users to render high quality-human translations for their entire web page with just the click of a button. Users can localize their website into the following languages: English, Arabic, Bulgarian, Chinese (Simplified), Chinese (Traditional), Czech, Danish, Dutch, English (British), Finnish, French, French Canadian, German, Greek, Hebrew, Hungarian, Indonesian, Italian, Japanese, Korean, Malay, Norwegian, Persian, Polish, Portuguese, Portuguese (Brazil), Romanian, Russian, Serbian, Slovak, Spanish (Latin America), Spanish (Spain), Swedish, Tagalog, Thai, Turkish, Ukrainian, Vietnamese. With a customizable and discreet widget, your webpage’s visitors will have the option to instantly view your content in their native language. Businesses integrating multilingual content into their marketing strategy are automatically given a leg up on the competition. Integrate Website Localizer into your website today for improved customer satisfaction and retention rates. Start your free, 30 day trial now.